We are delighted to offer for sale this superb detached family home beautifully located on the periphery of Templepatrick and enjoying an excellent degree of privacy with stunning views over the surrounding countryside. Sycamore Lodge was constructed in the last 10 years and benefits from beautifully proportioned and exceptionally well presented family accommodation which is adaptable to suit individual requirements and currently comprises of five bedrooms, three reception rooms, together with high quality kitchen, casual dining area, separate utility room, contemporary bathroom and two ensuites (one of which is plumbed but not fitted). The property is position on an elevated site and in total together with the surrounding ground comprises approximately 8 acres together with formal garden and private patio area. Templepatrick is exceptionally well located close to main arterial routes to Belfast, International Airport and other surrounding towns. 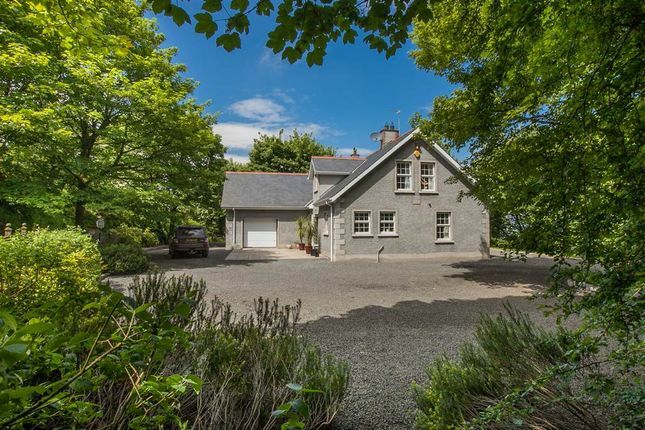 Likely to be of interest to the growing family, and or those with equestrian interests, viewing is by appointment through our Lisburn Road office on .